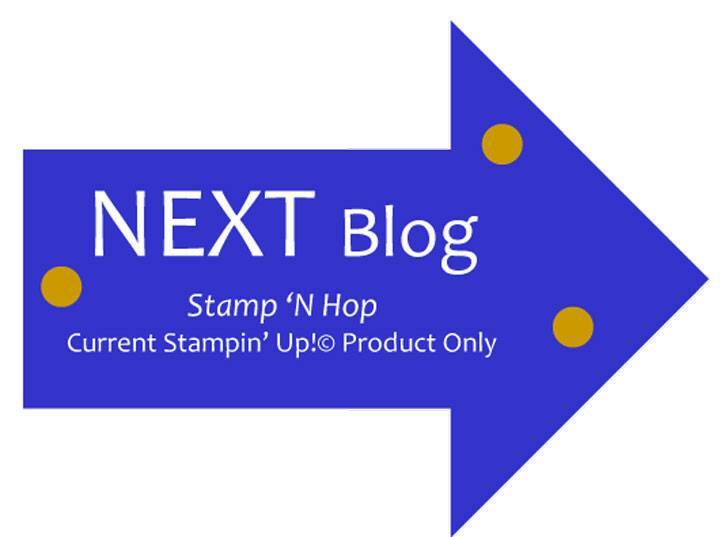 It is time for another blog hop with the Stamp 'N Hop global independent Stampin' Up! demonstrator group. This month we are CASEing (Copy and share everything) the Annual Catalog. I chose a card from page 20 that showcases the Botanical Bliss bundle. The catalog image is the left and my project the right. I do not own the designer series paper, nor the Delightfully Detailed Memories & More Card Pack (used to make the background). I chose to use Night of Navy lined dsp from Twinkle Twinkle and Soft Sea Foam dsp from Tranquil Textures. 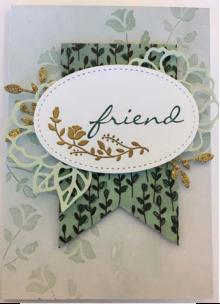 I used Soft Sea Foam ink to stamp the flowers on the background, I changed my glimmer and heat embossing from gold to copper. I love how my project came out, it is different than my normal style which my husband picked up on right away. It is fun to get out of your comfort zone. I hope you like my project. Don’t forget to leave a comment before you hop to Vicki and see her lovely project. Just click on the arrow below. If you get lost along the hop, you can use the blog hop list below to help guide you along. What a beautiful card! I love the colours, If I had to choose between the original and your card, I'd take yours. You tweaked it perfectly. I really like your version of the card Traca - it turned out great! 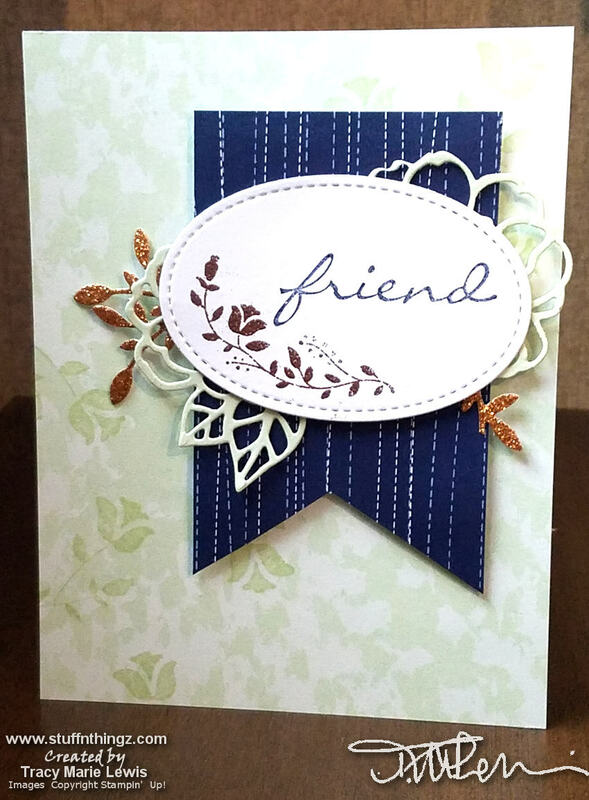 I love this card,love the layering elements, been a fun challenge, loved looking at everyone’s projects.